PC Jeweller said it is not aware of reason of sudden decrease in price of equity share of the company today. "The Company would further like to assure its investors, shareholders and other stakeholders that the fundamentals of the Company remain strong and it continues to move ahead on the growth path," it said. PC Jeweller share price tanked over 28 per cent in the last two days for no specific reason. If you are already invested in the stock, experts advise exiting the counter immediately and instead buying Titan in the gems and jewellery sector. Reacting to investors' query on the sharp fall in the stock, the company said it is not aware of reason of sudden decrease in price of equity share of the company today. "The Company would further like to assure its investors, shareholders and other stakeholders that the fundamentals of the Company remain strong and it continues to move ahead on the growth path," it said. "None of the promoters of the Company have sold any shares in the market. However, one of the promoters, Shri Padam Chand Gupta has gifted some of his shares to his family member(s) through off-market transactions and the Company is already making the requisite disclosures in this regard from time to time," PC Jeweller added in a filing to BSE. The total promoters holding in PC Jeweller declined to 60.24 per cent at the end of March quarter from 60.54 per cent at the end of December 2017 quarter, latest shareholding pattern filed by the company showed. Notably, PC Jeweller had tanked 60 per cent in intraday trade on February 2, 2018, following rumours linked with tech firm Vakrangee. PC Jeweller did recover post management clarification but the stock is still down over 48 per cent year-to-date on the BSE. By comparison, the benchmark Sensex is up over 1 per cent during the same period. Rakesh Bansal, VP, RK Global believes PC Jeweller is not a portfolio stock and is only meant for trading. "PC Jeweller is a pumping-and-dumping stock where operators push the prices higher, and dump those at higher levels, therefore I advise not holding it in your portfolio for long-term. If you were to trade in PC, do it with a strict stoploss," Bansal told Zee Business. "Who really is buying jewellery from PC Jeweller? If you observe, people prefer Tanishq over PC," he added. Sandeep Jain, Director - Tradeswift Broking seconded Bansal and advised selling the stock immediately. "Although jewellery business is nice, but most businessmen running it are not. Many investors have already lost fortunes on some of jewellery stocks. 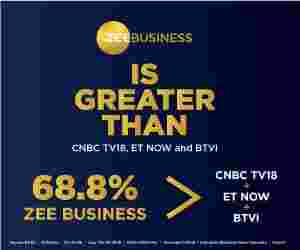 My advice would be to buy Titan on declines and exit PC Jeweller now," Jain told to Zee Business.